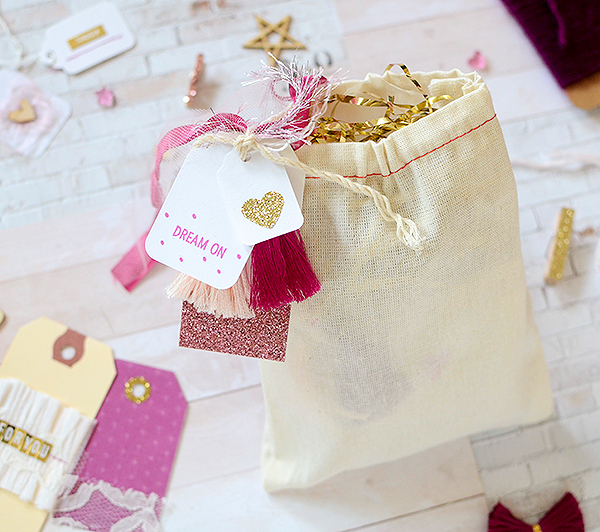 She recently got ahold of my Pink + Gold and Pink, Gold + Beet embellishment kits and worked some magic with them. She's the first person I've ever asked to work with the kits--it's always been on my agenda, but I've never had the wherewithal to actually reach out to someone until now. But I LOVE her interpretation of the kits because it's so different than what I do with them, and that's exactly what I wanted. 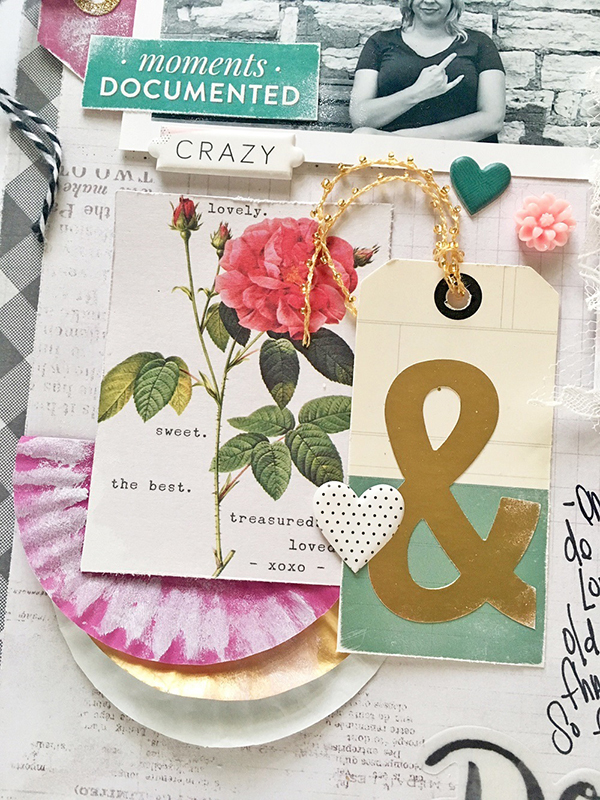 You've seen how I use them already...now here's what Sarah did...She paired them up with some Maggie Holmes' Open Book products, as well as this fun photo, and the result is gorgeous. There is no right or wrong way to use the kit contents so if you are thinking of getting one, know that. I am so impressed with the use of the lace--ruched and stapled to the pink tag! It brings the lace to the forefront of the work and adds so much texture, which I can never get enough of. I also like that Sarah threw in some hints of green to the color scheme. 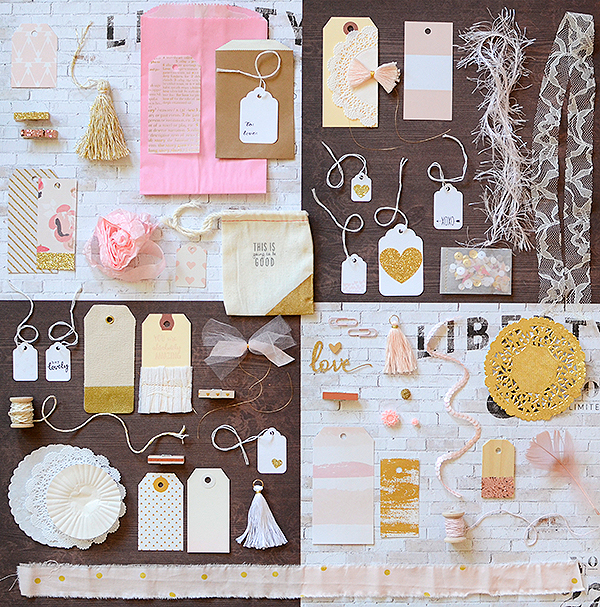 This is such a rich layout with the pinks and purples and greens--and even the black and gold samples. That's another thing about the kits--you don't have to stick strictly to the colors in them. Definitely step outside of those walls and mix them with other hues and shades like Sarah did here. I am completely, head over heels, crazy about the way she used the cupcake liners. I never would have thought to use them folded and layered like this--and distressed, even! The girl is brilliant and I am totally lifting that technique in the future. 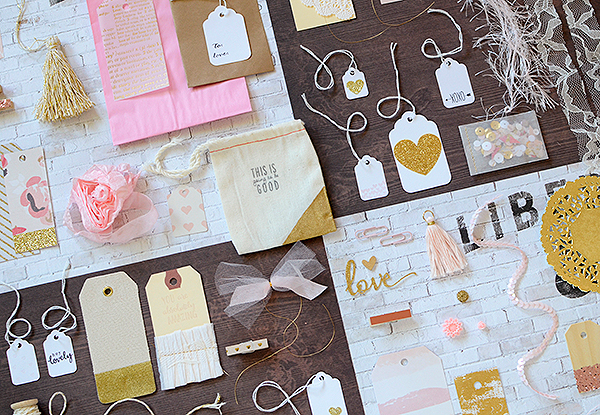 I've heard a rumor that Sarah has another project up her sleeve using the Pink + Gold kit and that it's coming our way real soon. It might be in the form of an art journal and I'm super-excited to see it! 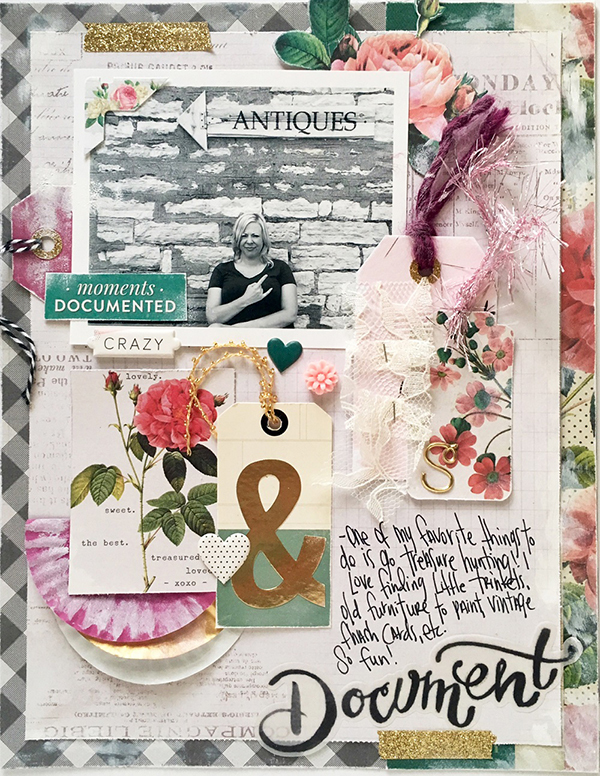 I have loved seeing another creative mind do something totally different with my kits and I hope you enjoyed something different in this space, too. 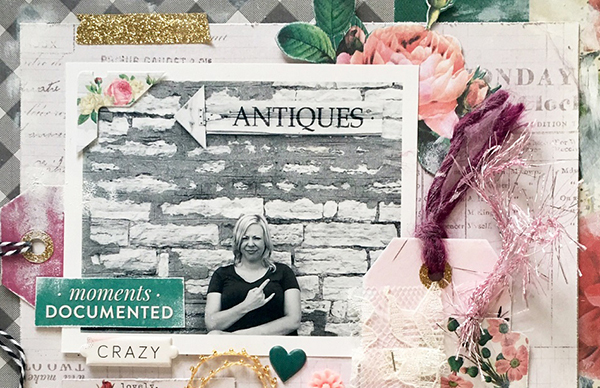 If you love Sarah's layout, be sure to visit her blog. She always shares great techniques and offers little hints that make me wonder how she ever came up with them! 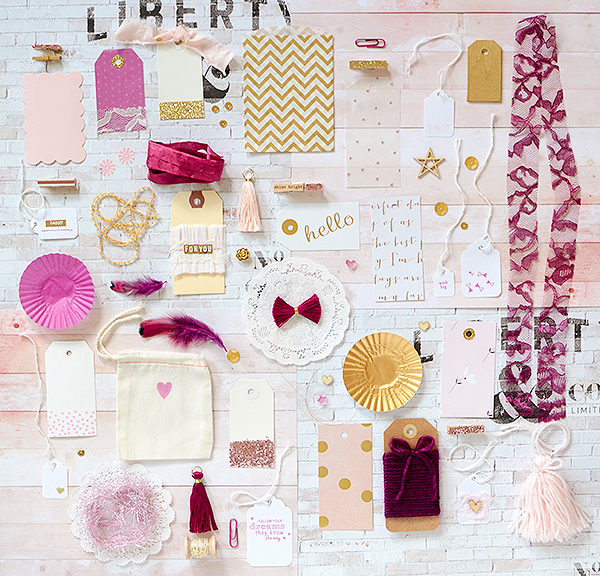 (It's probably because she's so, so, so creative and she's a total pro at all things paper!) 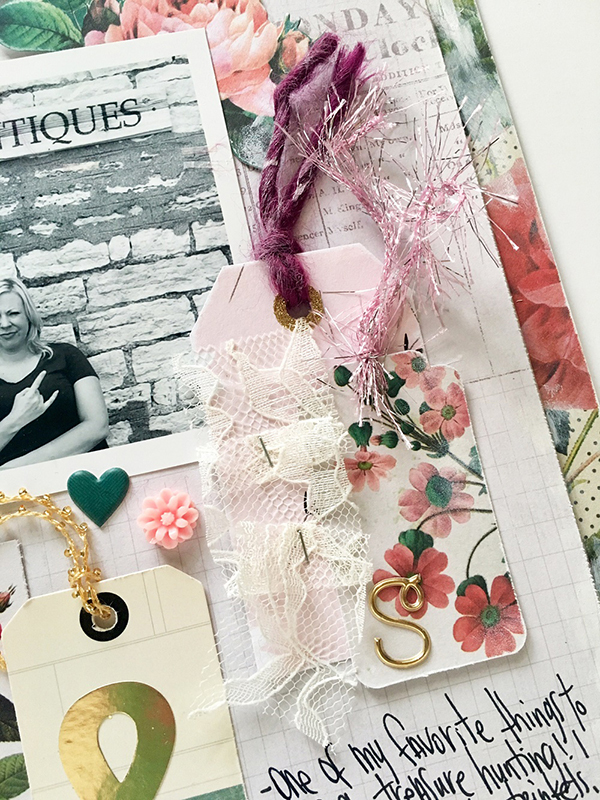 She has an Etsy shop where she sells scrapbooking kits, too, (I got to be her guest a couple months ago) and I've got all her links right down below to make it easy to find her. Show this girl some love, please! 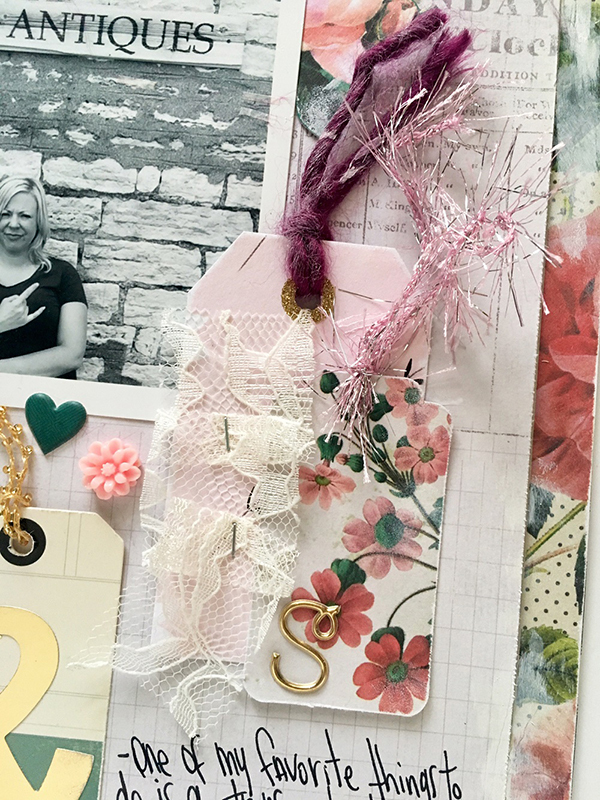 If Sarah's ideas inspired a few of your own, you can pick up the P+G and P+G+B paper/embellishment/gift wrap kits in my Etsy shop.